Janelle Davis is one of the audit seniors at MYH and came to see you about an issue that she finds worrisome. Janelle is part of the audit team that audits Great Gold Limited (GGL), a company that extracts and refines gold at a local mine. She is also on the audit of Big Machine Limited (BML), a company that leases and services large mining machinery to a number of the gold mines in the region. During the course of the audits she discovered that Mr. Brent Allen, a director of Great Gold Limited, was also a director of Big Machine Limited. GGL is leasing a significant percentage of their machinery from BML. There are a couple of other machinery suppliers in the region who only supply GGL with a small proportion of their machinery needs. The question that worries Janelle is whether GGL are leasing from BML because Brent Allen has directed them to in order to increase BML’s profits. She thinks that this may be unethical. Using the American Accounting Association (AAA) ethical decision model and relevant ethics standards to recommend a course of action for Janelle. Shareholders in GGL are disappointed about its falling share price. A number of issues may have affected the price, including a fall in the price of gold and a damages claim against GGL. The claim began three years ago as a result of GGL undertaking mining operations without a mining lease on land that they did not own. As a result of this action GGL has had to cease mining on this section of their mine in the current financial year. Although the claim was made some time ago, a large contingent liability for the amount was only included in the previous year’s accounts. Considerable concern about the significant damages claim was raised by shareholders at the last annual general meeting. Many voiced the opinion that this contingent liability should have been included in previous annual accounts, claiming negligence by the auditors. With reference to relevant case law, prepare a report for the managing partner of MYH on the strength of any negligence case that GGL might bring against MYH. The report should follow standard report structure. Information on report writing can be found here. Use of critical and reflective judgment in ethical practice in the application of the ethical decision guide (6 marks). Complex and detailed application of the ethical decision guide demonstrating strong critical and reflective thinking the use of the guide. Logical application of the ethical decision guide demonstrating coherent critical and reflective thinking in the use of the guide. 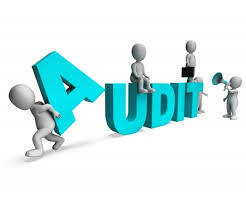 Identification and evaluation of the influences of common law on negligence issues during the audit process (7 marks) Provides a comprehensive synthesis and critical evaluation of the common law most integral to deciding: failure to exercise due care and duty of care to a third party. Provides an advanced synthesis and critical evaluation of the common law most integral to deciding: failure to exercise due care, and duty of care to a third party. .
Professional communication including using a report format for question 2. Work contains distinct understandable statements with no errors. There is a sophisticated use of language. Answer is extremely well organised. Report format effectively used. Content is structured in a manner that facilitates the reader’s understanding. Work contains distinct understandable statements with minimal errors. Content is structured in a manner that facilitates the reader’s understanding. Report format effectively used. Used three or more sources. All work has been referenced correctly as per APA (6th edn) requirements.